Her Majesty’s Revenue and Customs (HMRC) was created in 2005 by the merger of the Inland Revenue and Her Majesty’s Customs and Excise. The newly formed HMRC had around 104,000 staff. In 2017 the headcount in HMRC stands at approximately 58,000, but under proposals ironically titled “Building Our Future” they intend to cut thousands more jobs by 2021. The Building Our Future programme also plans to close almost the whole HMRC estate of over 170 offices and move to a regional “hub system” of just 13 offices with five specialist centres. Huge areas of the UK will be left without a “tax compliance” presence. HMRC say that this is designed to save money, but in reality the closures are linked entirely to the 2021 end date of the disastrous Mapeley contract by which the HMRC estate was handed over to an offshore company in 2001, only to be leased back to HMRC. Experience to date shows that cutting jobs and offices not only results in poorer services to the public but also loses tax yield by making it easier to avoid and evade tax. A member of staff in the compliance business stream of HMRC brings in on average over £900,000 a year on a £30,000 salary. Yet HMRC continues to cut the jobs of compliance staff. HMRC is a crucial government department, assessing, enforcing and collecting taxes that pay for all public services. Common sense screams that it should be adequately and appropriately resourced and well managed, with a strategic direction to perform its statutory functions and to stand it in good stead for any future challenges, in particular as the UK leaves the European Union. But it isn’t. HMRC’s budget after years of systematic cuts was 40% less in 2016 than in 2000. For more than a decade HMRC has faced year on year cuts to funding at the same time as ongoing internal re-organisations. Together these have led to a situation where HMRC has been variously described as a government department in “crisis” and “not fit for purpose”. Staff morale is so low that even in areas where HMRC is not seeking to cut jobs, experienced staff are leaving in droves, worn down by years of pointless “change management” and relocations that never lead to better efficiencies, either cost-wise or service-wise. This is set against a backdrop of a tax code of more than 16,000 pages, a tax gap of approximately £119bn (see below) and a complete dismantling of face- to-face services to the public. HMRC is also seen as being soft on the perpetrators of tax avoidance. It has devoted disproportionate senior management time to negotiating “sweetheart deals” with big companies like Vodafone, rather than strengthening its services to ordinary members of the public or to the accountancy profession. Stronger anti-avoidance legislation is needed to tackle abuse of the system by big business and rich individuals and to ensure that taxes due are collected, but this legislation cannot be implemented without the necessary staff and resources; and this requires political will. No one argues that there is a linear relationship between the actual number of staff employed in HMRC and tax collected. It is clear, however, that depriving HMRC of resources has not resulted in a more efficient tax authority. No other tax authority in Europe save Greece has cut its staffing more than the UK in percentage terms, and lessons need to be learnt from that. 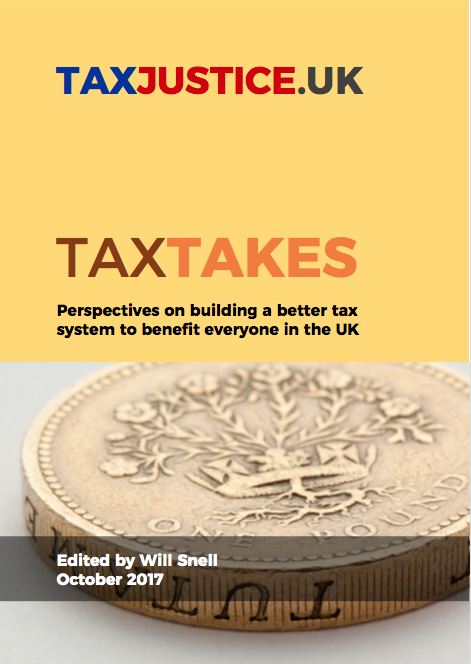 We believe that the tax gap, which is made up of avoided, evaded and uncollected tax, stands at closer to £119bn per year than the £36bn figure quoted by the government. Added to this, the equivalent of £120bn of income is waived every year in the form of tax reliefs, often to rich companies and individuals who are thus subsidised by the taxes paid by ordinary workers. It is impossible to collect these missing billions without properly resourcing HMRC and changing the ideology that presides at the heart of government and in the senior levels of HMRC. Mismanagement of the department has been commented on in select committee reports. The Public Accounts Committee has published findings critical of the practices of HMRC. Figures in the accounting industry, companies with ethical tax arrangements, a growing number of individuals and organisations in civil society and the CBI have all agreed with workers in HMRC that the department should be adequately resourced and refocused to make it a department fit for the 21st century. These resources and reforms would enable the government to collect many billions more in tax revenue, every year.